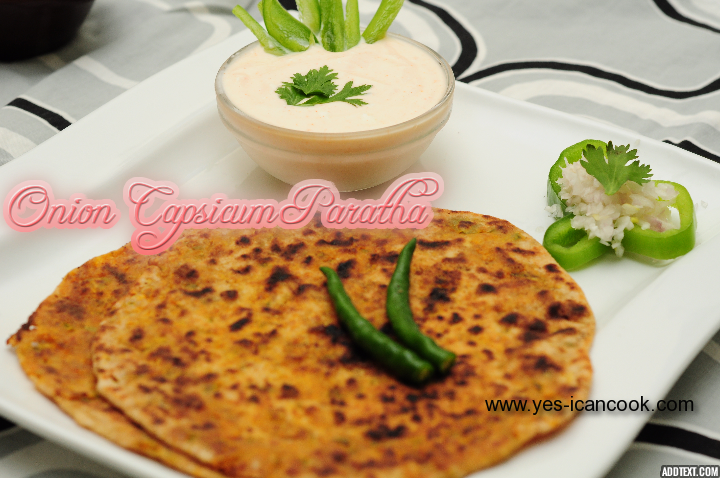 My love for stuffed parathas grows with every passing day. I can simply prepare these fulfilling parathas whenever I have no idea what to cook or when I am not in a mood to cook big meals. 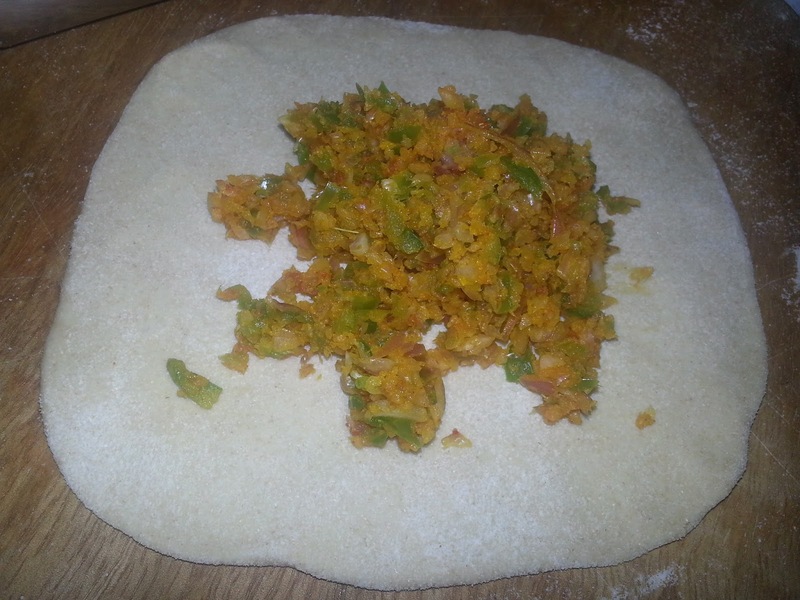 These Onion and Capsicum parathas taste great. Onion and Capsicum compliments each other wonderfully. The parathas are made in the same way like all other stuffed parathas. 1. In a mixing bowl add sifted wheat flour and salt. 2. Add water little by little and knead to a soft but stiff dough. 3. Knead well for about 5 minutes and keep it aside for 30 minutes. 4. 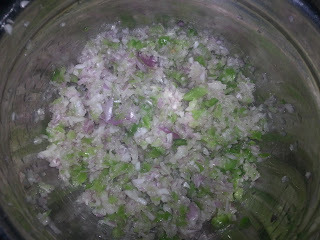 In a bowl add the chopped onions and capsicum. 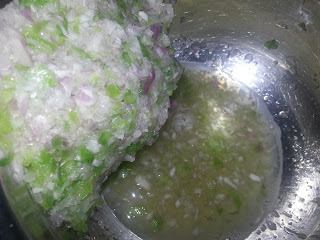 To this add some salt and mix well. Keep it aside for 15 minutes. 6. 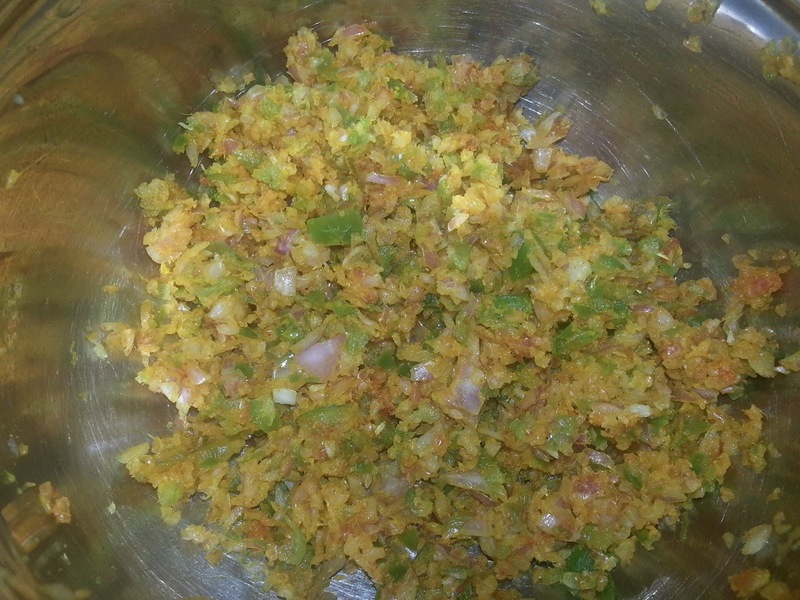 To this add turmeric powder, red chilli powder, coriander powder and coriander leaves and mix well. Add more salt if needed. 7. 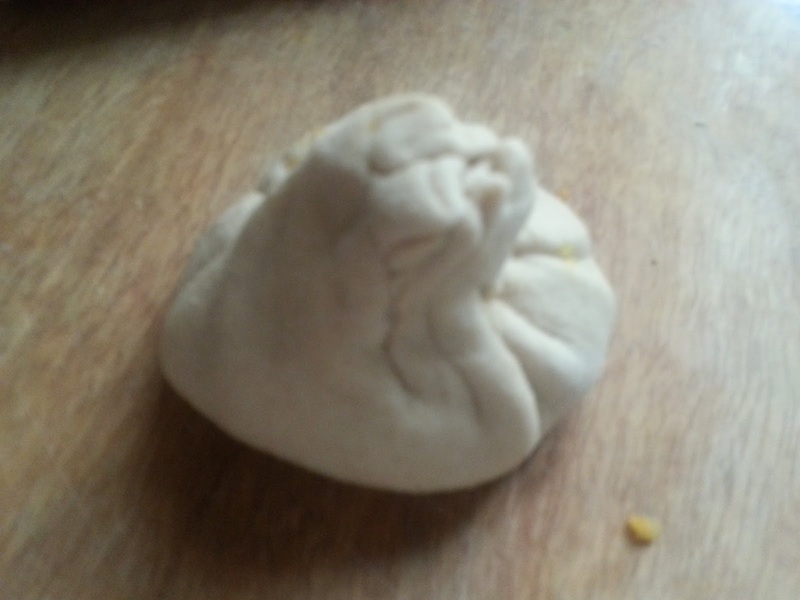 Divide the dough into 4 equal balls. 8. Divide the onion capsicum mixture into 4 equal portions. The stuffing portion should be of the same size of the dough ball. 9. Roll the dough to a small disc by dusting some wheat flour making it thinner at the edges than at the centre. 10. 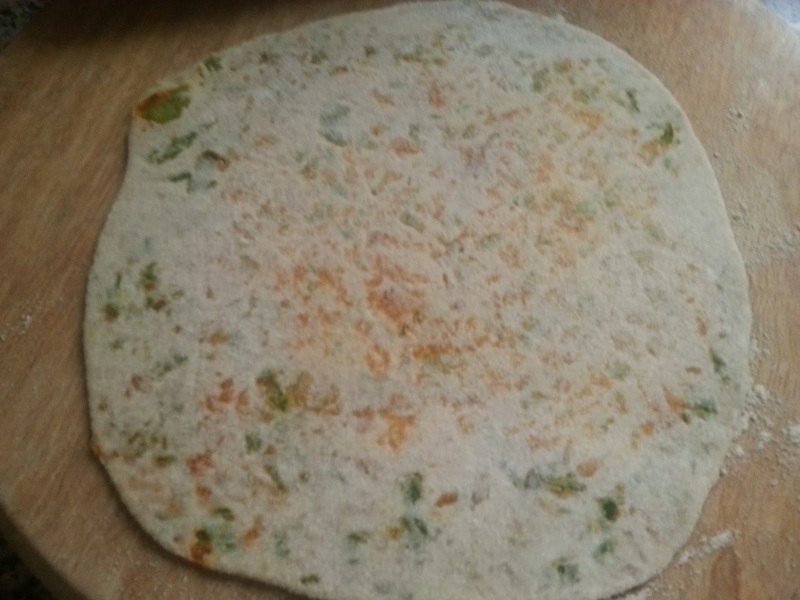 Place the stuffing mixture in the centre of the disc and start gathering the edges to seal the stuffing mixture. 11. Ensure that there is no trapped air inside and flatten the dough. 12. 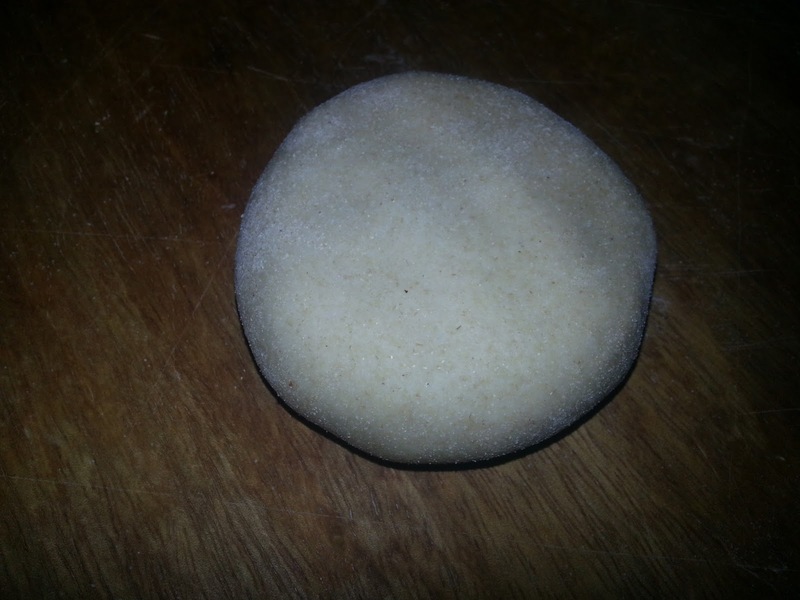 Roll it to a disc by dusting wheat flour. Do not roll it too thin. 13. Heat a tawa and place the paratha on the hot tawa. 14. When it is cooked with light brown spots flip it to the other side. 15. While the second side is cooking, apply ghee or oil on the first side and flip it again. 16. Apply oil or ghee and keep flipping till both the sides are well cooked. 17. Prepare the yogurt by adding some salt and chilli powder and beating the yogurt without any lumps.